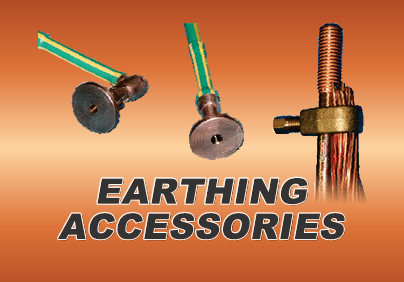 The Copper Covered Steel (CCS) earth conductor has an inner steel wire core to which the copper is applied to each wire through an extremely high pressure extrusion process to fully bond the copper to the inner steel core. 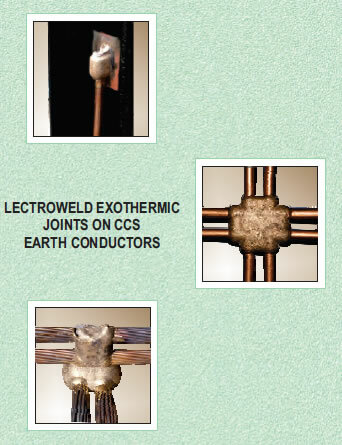 CCS is available as a ‘single wire’ or as a ‘rope layered stranded’ cable or a ‘rope layered stranded cable that has been darkened’. 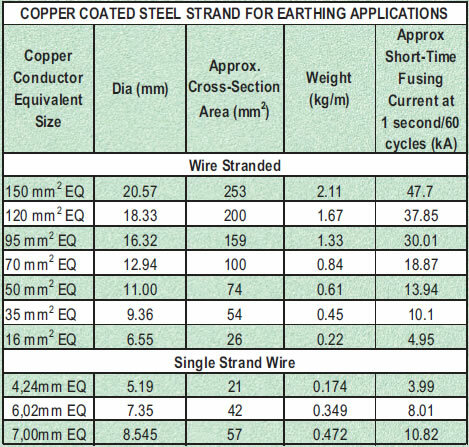 high current carrying capacity characteristics in short-time durations high strength properties corrosion resistance meet IEEE recommendations. 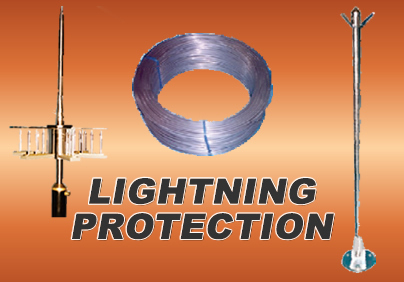 Due to the inner core being a high tensile steel theft of the CCS cable is very difficult. Tools like a hack-saw or bolt cutter have little impact cutting the cable thus deterring theft. 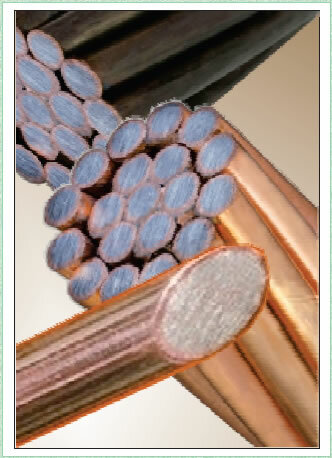 As the CCS is made up of steel and copper any cable that may be stolen has very little value to scrap merchants. 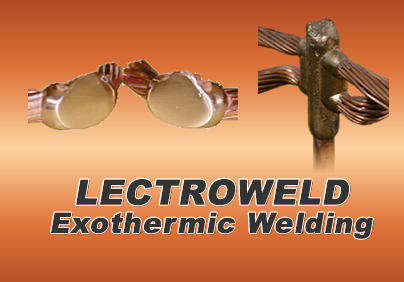 The CCS wire and strand must LECTROWELD exothermic welded to ensure the joints in the earth system have been ‘eliminated’ and the CCS earth conductor becomes ‘continuous’. CCS has been tested and the ratings are shown in the table below.